Grave memorials, like all after-death purchase can take time to select. This is largely due to the fact that buyers have an extensive range of options available to them. They can shop through local cemeteries, suppliers in their areas and by using online vendors. Consumers are also able to choose highly customized designs that best reflect the personalities of the people they have lost. Whether or not an option is suited to the resting place of an individual is a very vital point to consider. People can be laid to rest in small-sized burial sites for cremated ashes or they can be placed in regular burial plots. There are even niches withing columbariums that can be used or family cemeteries and plots. These products can now be enhanced through the placement of ceramic photos that are in full color. These placards are generally very small and lightweight and thus, they tend to be ideal for use on columbarium niches. These are also capable of being attached to markers and headstones. Determining whether you want to add special accessories to this purchase is import as well. People can buy flower vases made from copper, bronze or brass. These articles are heavy and designed to coordinate with all of the existing elements in the memorial. There are additionally flagpoles that can be incorporated into different options. These should usually be attached securely to memorials via the use of attractive links or chains. These help to deter thieves that might steal these costly items in order to sell them to metal recyclers. Some shoppers are in search of designs that are ornate and large. Rather than choosing grass markers or those that lie flush, they intend to install headstones that feature many different accessories and embellishments. These individuals will usually do best to shop for their products online, given that many web-based suppliers have a better ability to provide highly customized designs. 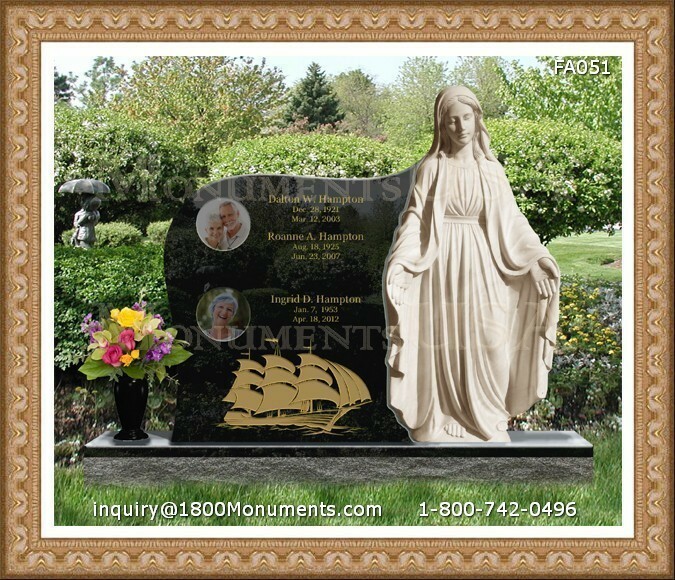 There are also memorial statues that people can buy for family cemeteries and plots. These are large structures that are usually placed between two or more family graves. These are purchased by groups that have bought a whole row of plots or several plots in one area. Before grave memorials are purchased, shoppers should take some time to speak with cemetery representatives. This is necessary for making sure that a product is in adherence with any guidelines that have been set forth. If people purchase these items via web-based vendors, they will have the option of having their cemeteries install them, which tend to be far less costly then using labor secured from local supply companies.